Practicing yoga at Villa Gumonca on the island of Brac. I did so by participating in a yoga retreat in Croatia with six Brits and a Norwegian I’d never met before, taking a two-week vacation in Croatia and Italy with my boyfriend, and then spending a week re-acclimating and getting organized at home in Denver. It was an absolutely wonderful experience and as I sat at lunch savoring my last few days off, I jotted down some of the lessons I learned that may prove helpful should you ever find yourself in the position of enjoying a month off. As a former gymnast (AKA perfectionist) I feel the need to be able to bend forward and touch the ground with hands flat and legs straight when I’m practicing yoga. Thanks to a hamstring issue, I’m not currently able to, which has been driving me crazy. On this yoga retreat, our instructor encouraged me to bend my knees deeply in forward bend. Doing so not only enabled me to put my hands flat on the ground without pain, it also produced an amazing stretch that felt great. My preconceived notions of what “success” looked like in that pose and the expectations known only to me (no one else was watching to make sure I kept my legs straight) had been holding me back from true success. Are there ways you could modify or do something differently if you just let go of your preconceived notions or unrealistic expectations? My guess is yes, there is. Go find it! Believe it or not, I grew up riding dirt bikes and mopeds. However, I hadn’t driven today’s version of a scooter until our adventures on the island of Vis – a two-and-a-half hour ferry ride from Split, Croatia. Vis is about 20 km (12.5 miles) across at its widest point, so scooters are an awesome way to get around. As we headed up the switchbacks outside of Vis Town, I was determined to keep up, but going around the first turn, I skidded out a bit and had to put my foot down and readjust. This happened a few more times before I realized that if I just slowed down and took the turns more intentionally, everything was so much better (and safer). I still got up (and down) the hills and to our destinations. When I was reflecting on our adventures later that day, it hit me that I’m always running and trying to keep up. What would happen if I slowed down and was more intentional about the next hill (AKA meeting, presentation, event)? I can’t wait to find out. 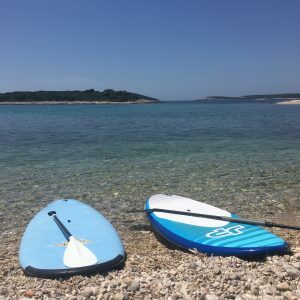 After renting stand-up paddle boards (SUPs) from someone’s back porch on the island of Vis and then heading out into the sea with no personal flotation device, having not signed any sort of waiver, I realized that one of the reasons I fell in love with Vis was the lack of processes and stressors. 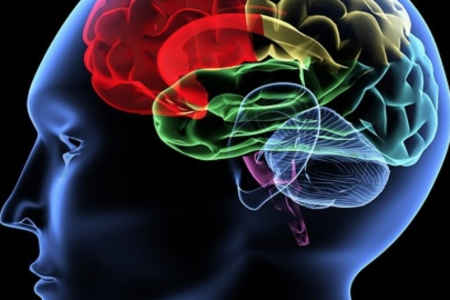 Of course we need rules and laws to govern certain aspects of our society, but we’ve also become so litigious that it seems we have rules to try to control everything. It would be so nice to go back deals made over a handshake without all of the fine print. On the food front, the predominance of processed food in America became even more evident while traveling abroad. 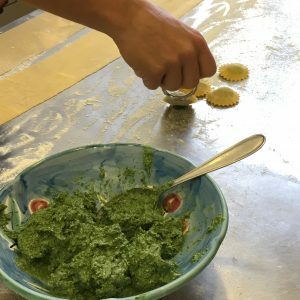 On a food foraging, hiking and cooking experience, we picked dandelions and other weeds that became our delicious salad and the filling for the pasta we made from scratch — pasta from local, ancient grains that weren’t refined and didn’t contain GMOs. In fact, all of the food and wine we consumed in Croatia and Italy was local, simply prepared and delicious. There wasn’t any fuss about gluten-free or nut allergies or paleo diets, and the simplicity of it all was delightful! Stand up paddle boards and a view of the islets off of the southern coast of Vis. I hear people say “life is short” all of the time, but I fear not many people are actually listening. Believe me, it is short, and there is so much to explore – whether it’s in your backyard or half way around the world. Before I departed for my sabbatical, I was working nearly every weeknight and Sunday and felt guilty and behind the eight ball if I didn’t. Enjoying time away on vacation should be pretty easy, but it was really during my last week at home that I realized I enjoy having my evenings free, too, to read, cook, work out and visit with friends. 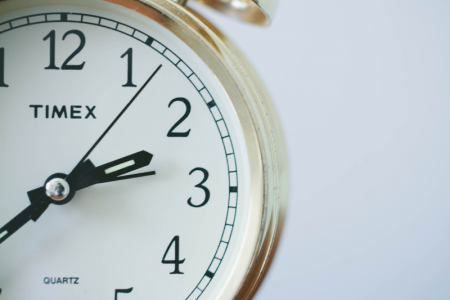 My commitment upon returning to work is to maximize time during the day in order to work fewer nights and weekends. I don’t want to do less work, but I’m going to strive to find ways to do it more efficiently in the daylight hours. And to remember – as many wise people have told me – it will all still be there tomorrow. So, whether it’s for a long weekend, vacation or sabbatical, I encourage you to get out there and see, smell, eat, drink and do everything you can. And then savor it until your next adventure!